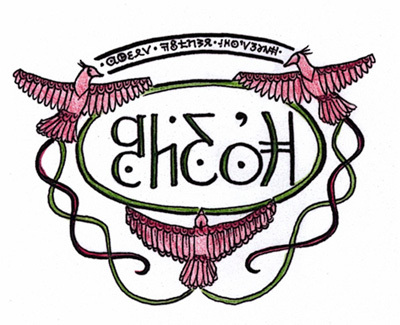 Many years ago, Obernewtyn.net hosted a Twentyfamilies Tattoo design competition - and we've decided to revamp it, and get some new submissions, since we have so many more artists on the site now! 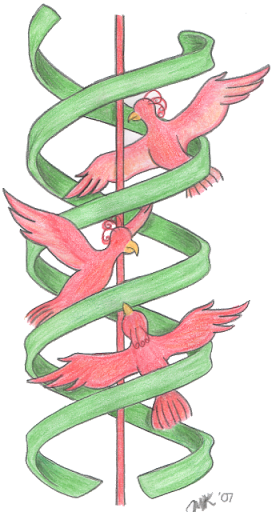 So, welcome, to the New, Improved, Twentyfamilies Tattoo Competition! 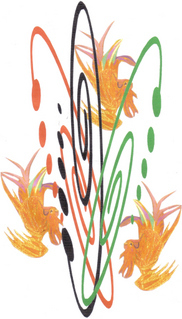 Design the tattoo worn by the Twentyfamilies Gypsies in the Obernewtyn Chronicles - the one Elspeth has Swallow tattoo onto her arm - the one that Cassy Duprey designed, based on her sketches of the Beforetime "flamebirds". 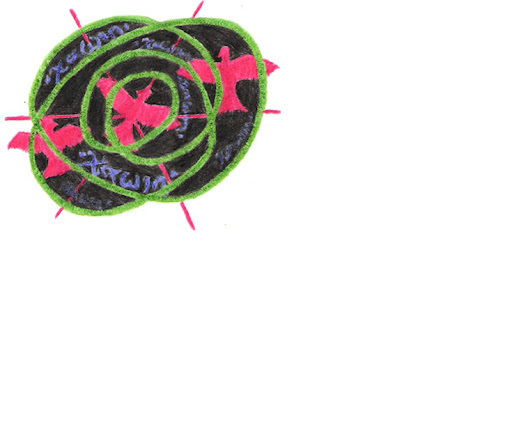 '"This was th' symbol of th' research cell from Govamen." He interrupted himself to point to a tiny picture denoting three miniscule birds flying in an endless spiral around a word I could not interpret. 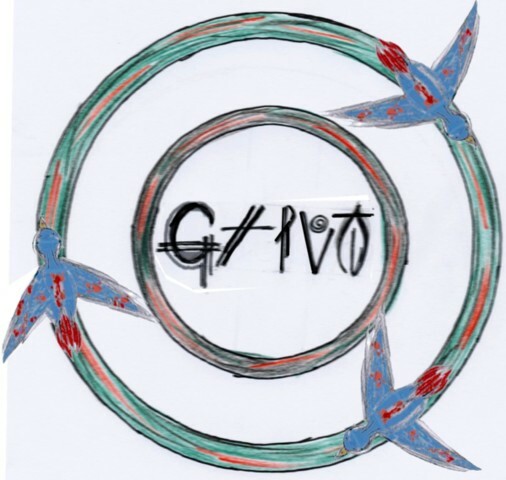 'I stared at the elaborate painting on the inside of his wrist and up his arm. 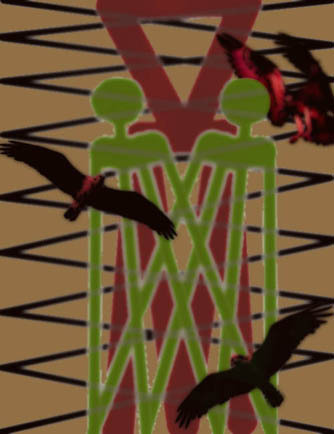 Three birds were depicted flying in a spiral of black and green, shot through with red. "This is a mark worn only by those of the Twentyfamilies and entitles us to pass through the gates of any city unsearched and untouched..."
A very dodgy attempt, but it gets across the basic idea of how I imagine the tattoo. It's similar to my old submission, but once a design gets stuck in your head... I based this on a couple of tattoo designs I found online, photoshopping them to reshape, recolour, and reposition, in the hope to make a tattoo that looks like something a person might conventionally wear as a tattoo these days. The text symbols are understated for this reason...I really wanted the design of the main logo/tattoo to stand out, rather than the uninterpretable words within it (which I'm taking as more a serial number / code than a company/organisation name). 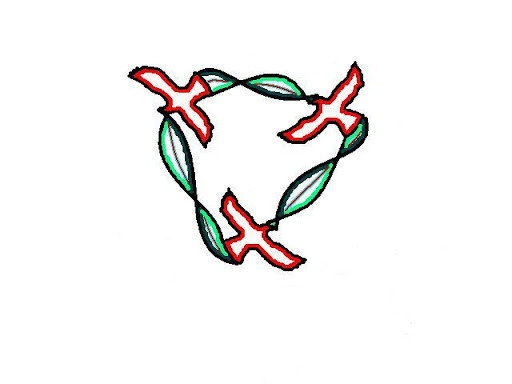 My depiction of the twentyfamilies tattoo. I did have an idea to to give them long swishy tails but alas I ran out of time. 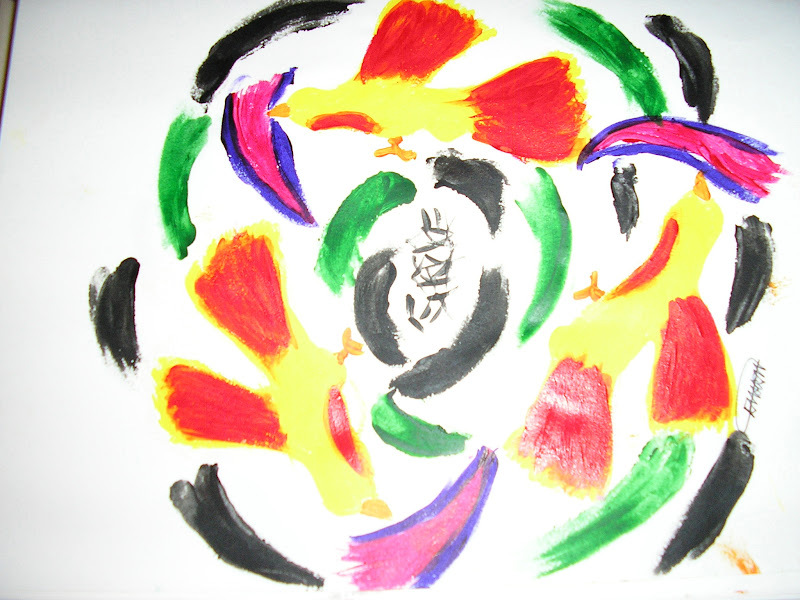 This was made by some sketches I did, and arranging them in an imaging program - which I then printed out and coloured in with pencil - because I can't colour in image programs :P The idea for the spiral came from a strand of DNA. WOW! That's absolutely FANTASTIC! I'd have that tattooed onto me any day!!! Well done Natalie! that's so cool. it's got something else . . .